Domain Authority score is not a new phrase in the world of SEO, but there are many bloggers who are unaware of domain authority and it’s significance. Following is a detailed guide in which you will learn what you need to know about “domain authority” (including how to check your domain’s authority score! ), as well as some additional related terms which are important to understand. Domain authority is one of the main factors that define how well your website will rank in search engines. In the “old days”, a website was weighed based on its page-rank. Now, domain and page authority play a major role in the ranking of any domain. I wanted to share this important topic with you because once you understand what domain authority (DA) is, you can start focusing on creating an authoritative blog. Domain authority is a metric which was created by Moz (SaaS company), for the purpose of rating a website on a scale of 1-100, (100 being the best and 1 being the worst). So the higher the domain authority of a website, the higher its ranking in search engines. Instead of thinking of domain authority as a measure of your SEO effort, think of it as a competitive metric against other sites. 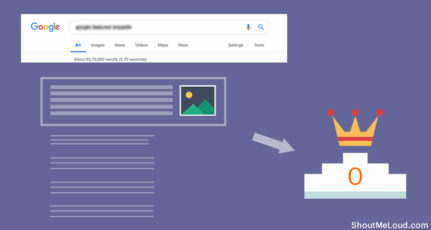 So if you compare your website’s DA score with that of your competitor’s site, the site with the higher DA score is likely to rank higher in search engine searches! DA measures the authority of the complete domain. 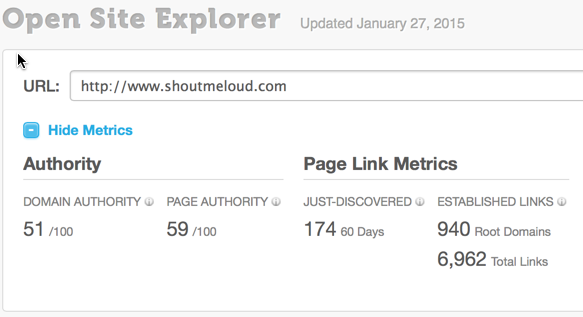 Similarly, PA (page authority) is the measure of an individual page. There are a few domain authority checkers available online which you can use to check your website’s DA. The first is the official Moz open site explorer where you type in your domain or sub-domain address, and it will show you the latest DA score. If you are using the Chrome or Firefox browser, you can use MozBar extension to check the domain authority and page authority of any webpage, and I highly recommend that you do so. 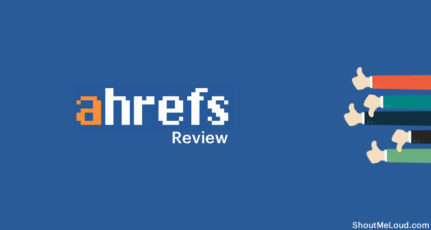 Domain authority ranking factors consist of over 40+ signals, but there are a few things which you can start doing right now to increase your website’s domain authority. First lets understand what creates good DA by understanding MozRank and MozTrust. MozRank is measured based on the link profile of a domain. It is calculated for any webpage on the Internet based on the number of links pointing to the page. Along with quantity, quality of the linking pages also plays a major role. A handful of quality pages linking to your website will give a better MozRank rating than many low-quality links pointing to your website. MozRank is measured on a scale of 0-10, with 10 being the highest. An average MozRank rating for a webpage on the Internet is 3. Like MozRank, MozTrust is also dependent on links. With MozTrust, however, what is measured is how closely you are connected to a trusted website on the web. For example, a government website or an .edu website are usually considered as trusted websites. If you are linked in one hop (a .gov site links to a site called “A” and site “A” links to you), then you are more likely to have a better MozTrust ranking. Think of MozTrust as a ranking of the link indicating the distance between your webpage and a trusted source. MozTrust is also measured on a scale of 0-10, and you can increase your MozTrust ranking by getting links from highly trusted websites (Wikipedia, government sites, university sites, etc). 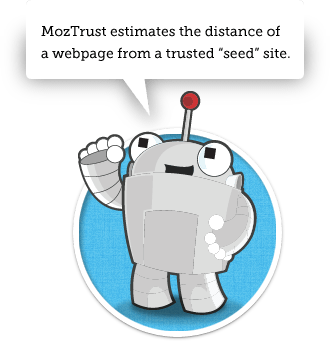 You can learn more about MozTrust on Moz SEO. What websites you link to: Always link to quality web-pages when ever possible, and don’t link to spam or illegal sites. Domain registration info: It has been suggested by Rand that your domain registration info could also play a significant role in deciding the trust factor for your domain. If you have 10 websites with same or similar domain registration info, and 8 out of 10 are bad websites, it might make it hard for you to earn trust for the 2 quality websites. User data signals: This depends on how users are interacting on the web, and is collected via various sources such as Google toolbar, Google analytics, free Wifi. Domain age: Let your domain age as much as it can because the older it is, the better it is. You can’t do much about it, but try not to change your domain name again and again. If you are a BlogSpot blogger, it’s a good idea to use a custom domain name from the beginning. Note: You might notice a website or webpage having high MozRank but low MozTrust. This is likely because it’s easy to manipulate MozRank by building lots of links in a short amount of time. By improving your domain authority, you are also increasing your chances of improving your search engine ranking. Think of DA as a manner of calculating how competitive a website is in a Google search. 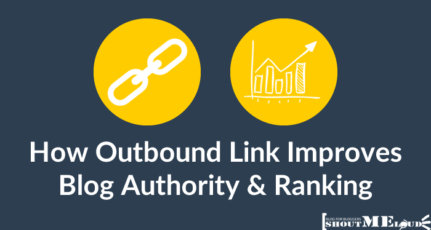 The higher the domain authority of a website, the harder it is to outrank it. Similarly, when you are working on link-building for your blog, you should try to gain links from websites having good domain authority.higher Domain authority score. Getting links and mentions from other blogs/websites with high DA. This is probably the easiest thing you can do right now to affect your domain ranking. Days to expiry is not a terribly strong factor, but it is a deciding factor in the establishment of a good website. It indicates to search engines that these long-lasting websites can be trusted. If your domain is set to expire in the next year, I would recommend that you extend it for the next 3-4 years. It would cost a just few dollars more, and it would be helpful to you in the long run. Instead of getting tons of links from a few sites, focus on getting quality links from diverse sources. This would include links from various geo-locations, various domain extensions, and sources which are not interconnected. Needless to say, links should be relevant and should be of high-quality. This is one important factor that you can easily control. Have you visited a Wikipedia page recently? Have you noticed how powerful their internal linking is? Make sure your every post is linked to 2-3 others posts on your blog, and when you publish a new blog post, go back and link from your old posts. This will also pass link juice from old posts to the new one. Along with creating new links, you should also keep an eye out for bad links pointing to your site. You can use a service to monitor backlinks to get email notifications. Whenever a bad link is pointing to your site, ensure that you get it removed, or use Google Disavow tool to ignore those links. The quality of your articles is more important than the quantity of articles. Publishing only 2-3 high-quality posts in a week is far better than publishing 7 posts of mediocre or low-quality content. Along with publishing high-quality content, work to become an authoritative site in your niche. Become the news breaker or make sure your reader trusts every page on your website. This will have a great impact on overall user-experience and on your search engine ranking. I’m not entirely sure it is directly related to increased domain authority, but it will definitely advance your site’s search engine ranking. Note: Domain Authority uses 40+ signals and looks at the pattern of search engine rankings by Google. So if you make Google happy, your DA score will also improve over time. 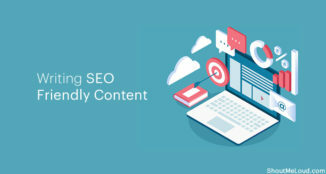 Make sure your website is search engine optimized, as this controls things like where the link juice passes, how easy it is for search engine bots to crawl your site, and how user-centric your content and navigation are. Sitemap file (Have a sitemap file link in your footer and in your robots.txt file). Make sure you have submitted your sitemap file to major search engines like Google and Bing. Maintain proper heading hierarchy in your blog post. 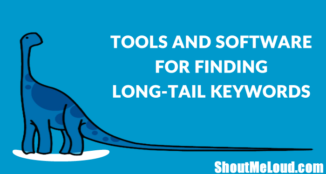 Here is a good guide on how to use heading tags for SEO. 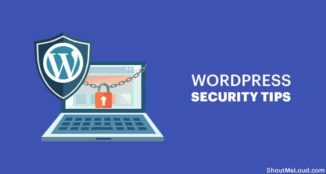 use only best WordPress hosting companies. Compress and optimise your images before uploading them. Use a cache plugin such as Super Cache, WP Rocket or W3 Total Cache. Social media plays a major role in the ranking of your content. Whether social media is a ranking factor for domain authority or not is debatable, but it is definitely a ranking factor in the Google search engine ranking algorithm. Make sure your brand and your blogs have a presence in all major social media platforms. Also try to ensure that your readers are sharing your content on social-media platforms. This helps to boost ranking and improves indexing. Q.Wondering how often domain authority checker gets an update? Back in the day, Google page rank was a factor for any webpage on the internet, but it was flawed system. My own experience has proven this when I’ve gotten a PR3 for a blog with no content, just having built backlinks. On the other hand, a domain authority score is well-maintained and is now the most trusted way to measure the rank and authority of a webpage on the internet. 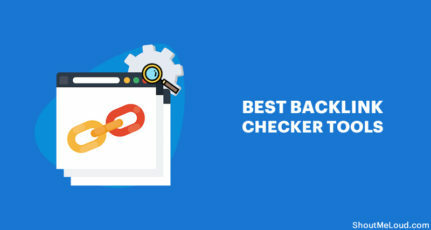 If you have never focused on your site’s domain authority score, it’s time for you to use some of the above mentioned domain authority checkers, and check your DA score. If your DA score is low, you should start working on the above tips to get higher DA score. Have a question? Feel free to ask via the commenst section! Remember to share this guide with others on Facebook and Google Plus. Thanks for the great article Harsh. I didn’t know anything about domain authority, but after reading your article, I come to know that it is damn important. I also checked it on the MOZ site and found that my domain authority is just 10/100 and page authority is around 40 something. I really need to work hard. Again thanks for such a great article Harsh. Thanks for the nice and educated article Harsh. 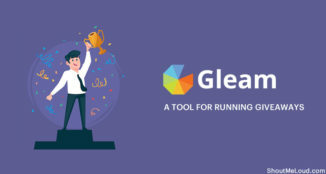 I didn’t know more about how to increase domain authority, but after reading your article, I come to know that it is must important for popular our domain.I also checked it on the smallseotools.com site and found that my domain authority is just 1/1. I really need to work hard. Again thanks for such a nice and effective article. If there is anything I’ve neglected since I started blogging, it is domain authority. But not anymore, I’m gonna be taking a closer look on it. Thanks for this great post. 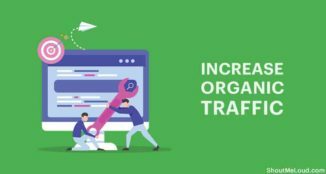 The best part is that improving the DA needs you to work-out on other major factors like backlinks, social media presence, page speed, internal links, etc. No wonder improving the DA will help a site to rank higher. I have been reading your blog since 2012 and I always come to SML for any information regarding setting up my new website or blog. And this is a really nice and informative post written about the Domain Authority. Thanks for this explainer. I started my blog 3months ago and my DA PA was 0 since then. Then I bumped into this Tutorial and then I started making Quality Backlinks, Wrote decent contents, Set up W3TC + Cloudflare+ Lazy Loading and now my DA PA is 12/23 in just a month. Thanks a lot Harsh. Kudos!! Hey.. Man I just want to thank you. I came across this article in April. I am new to the SEO world and I followed some of your directives for DA and PA. It really helped me understand the concept. I started from nothing and now domain authority for my website is above 15. Also if you could write something specifically on backlinks that would be very helpful. Thanks man. Keep up the good work. But one of my clients website DA is dropped by almost 50%. Why does it happens?